The Congress was leading in Madhya Pradesh, Chhattisgarh and Rajasthan in the Assembly polls as per the the Election Commission data. 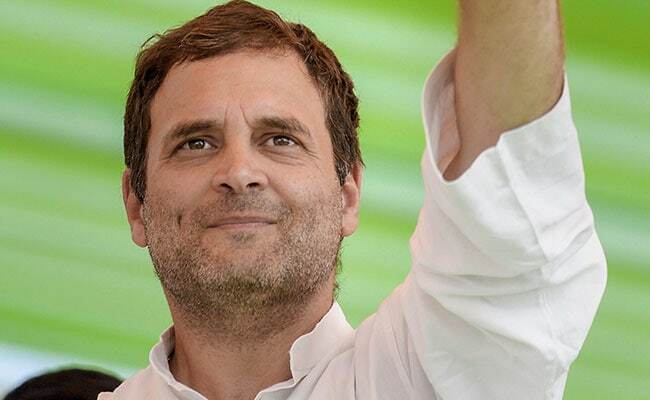 Reacting to the trends in Assembly election results, Congress leader Milind Deora said on Tuesday that Party Chief Rahul Gandhi, who was blamed for past defeats, now deserves accolades in equal measure. Mr Deora, a former Mumbai South Lok Sabha Member of Parliament, said a key takeaway from the result was that the states in the Hindi heartland wants development and not divisive politics. "Mandir-Masjid politics might win prime time TV spots, not elections," he said, referring to the Ram temple-Babri Masjid issue. "Rahul Gandhi faced brickbats for previous Congress defeats. Today, he deserves bouquets in equal measure," said Mr Deora, who is considered to be a close aide of the Gandhis.